WASHINGTON — The Internal Revenue Service today warned taxpayers to be on the lookout for unscrupulous return preparers, one of the most common “Dirty Dozen” tax scams seen during tax season. The vast majority of tax professionals provide honest, high-quality service. But there are some dishonest preparers who set up shop each filing season to perpetrate refund fraud, identity theft and other scams that hurt taxpayers. That’s why unscrupulous preparers who prey on unsuspecting taxpayers with outlandish promises of overly large refunds make the Dirty Dozen list every year. To find other tips about choosing a preparer, understanding the differences in credentials and qualifications, researching the IRS preparer directory, and learning how to submit a complaint regarding a tax return preparer, visit www.irs.gov/chooseataxpro. 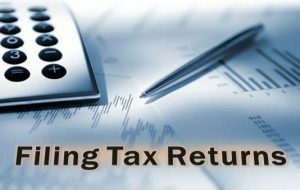 Remember: Taxpayers are legally responsible for what is on their tax return even if someone else prepares it. Make sure the preparer you hire is up to the task.